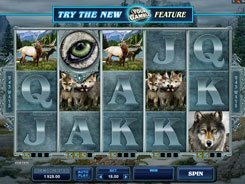 Untamed: Wolf Pack is a nature-themed feature-stuffed slot with 5 reels and 243 ways to win. The symbols are playing card icons, wolves, forest scenery, cubs and moose. You have two adjustable betting options: a coin value ($0.01 to $0.1) and the number of coins per line (1 to 15), therefore the minimum and maximum bets amount to $0.3 and $45 accordingly. 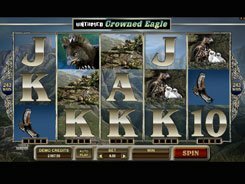 The slot has a wild, a scatter, free spins, Lucky Nudge feature, and Running wilds. 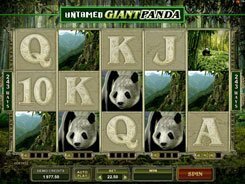 A wild symbol pays out the second-largest jackpot of x500 times a line bet. Wild symbols occurred on any reel add to a wild counter. Once you collect a total of four wilds for a certain reel, that reel will become wild for 4 consecutive spins. A scatter is the biggest payer in the slot awarding x7500 a bet if these five fall anywhere in view. 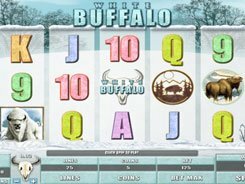 Three or more scatters unlock 10 free spins, during which you can benefit from Running wilds. 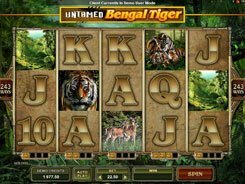 Besides, the slot has a unique Gamble feature where you can change your winning odds by adjusting the amount you want to gamble.